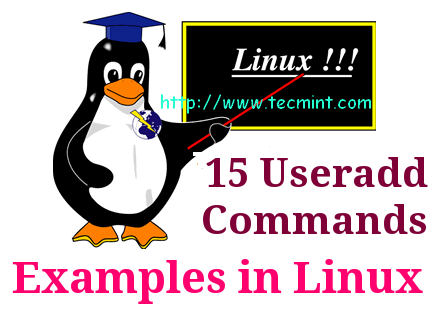 In this article we will show you the most used 15 useradd commands with their practical examples in Linux. For example, to add a new user called ‘nijam‘, use the following command. Changing password for user nijam. By default ‘useradd‘ command creates a user’s home directory under /home directory with username. Thus, for example, we’ve seen above the default home directory for the user ‘nijam‘ is ‘/home/nijam‘. Here in this example, we are adding a user ‘nijam‘ into multiple groups like admins, webadmin and developer. Here in this example, we will set a account password expiry date i.e. 45 days on a user ‘nijam’ using ‘-e‘ and ‘-f‘ options. Here in this example, will add a user ‘nijam‘ without login shell i.e. ‘/sbin/nologin‘ shell. The following command will create a user ‘ravi‘ with home directory ‘/var/www/nijam‘, default shell /bin/bash and adds extra information about user.